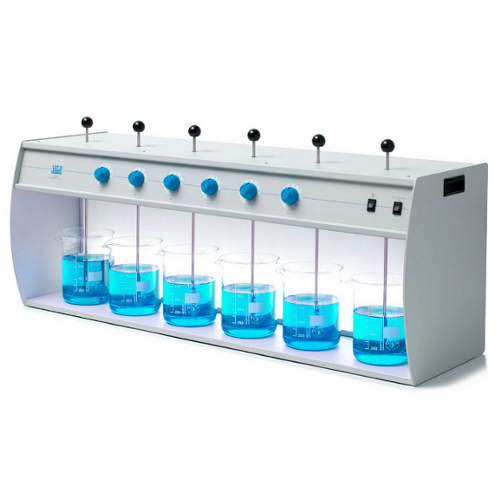 Flocculator FC 4S, 4-position Jar tester Velp ScientificaFlocculator FC 6S, 6-position Jar tester Velp ScientificaIndependent ControlIndependently P380820. Velp Jar Test Flocculator FC S SeriesMerk : MASCOTTE . Buatan Work ShopiModel : FC-4 & FC ... Jar Tester-Flocculator FC4S-FC6S ... Jar Tester-Flocculator JLT4-JLT6 Velp Standardized Control Digitally selectable speed from 10 to 300 rpm Microprocessor c ... Jual Flocculator Jartest Model 6 Spindle Made Lokal , Jual Jartest 4 Spindle.